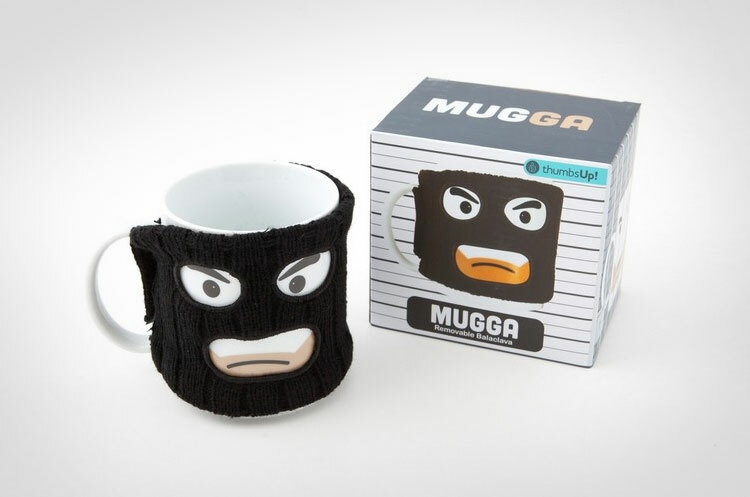 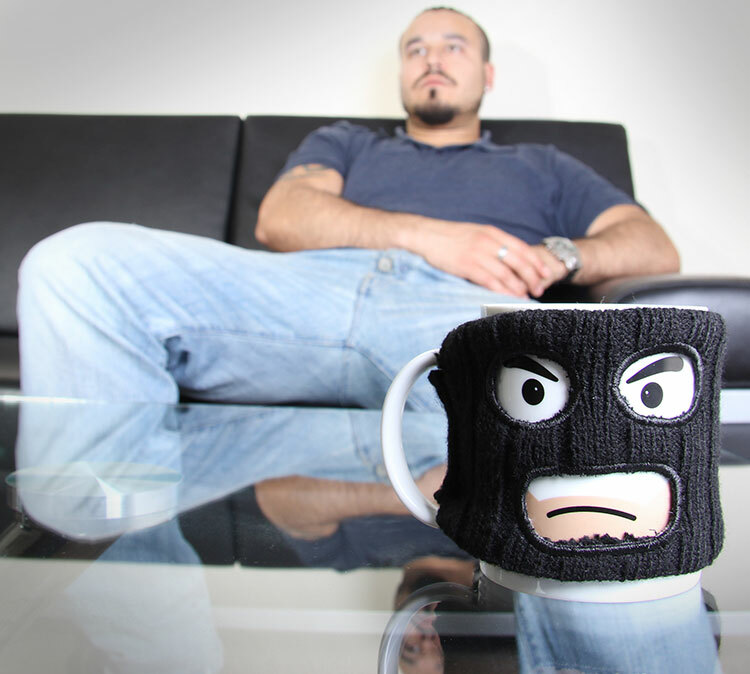 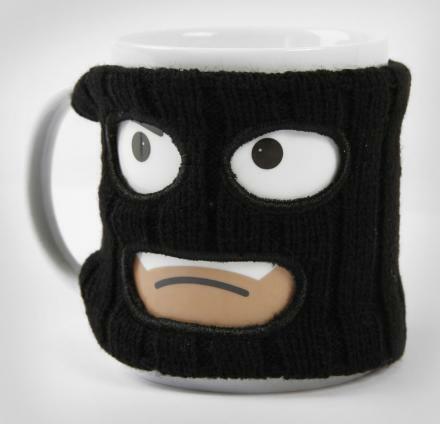 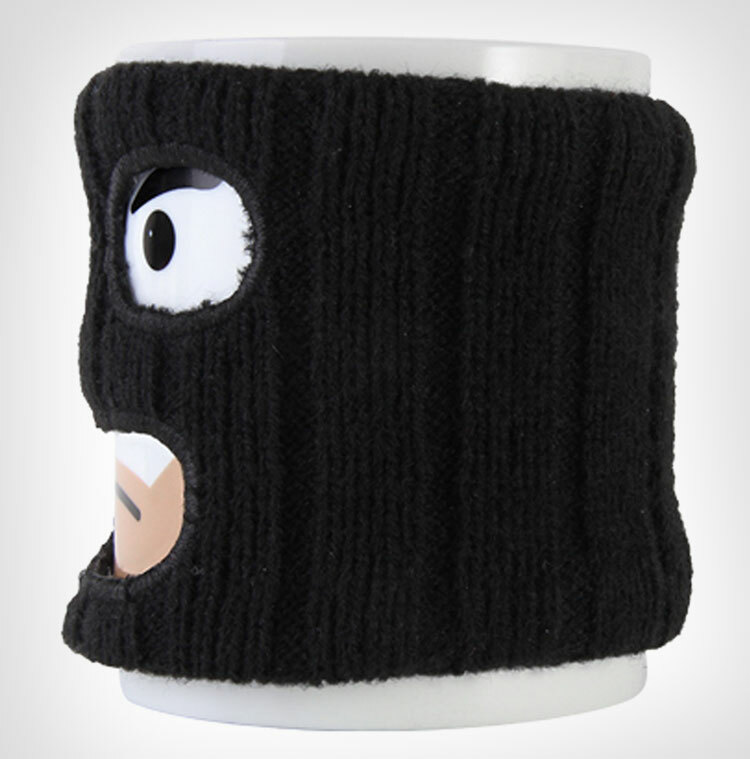 The "Mugga Mug", as so it's called is a coffee mug that resembles a mugger with a ski mask over it's face. 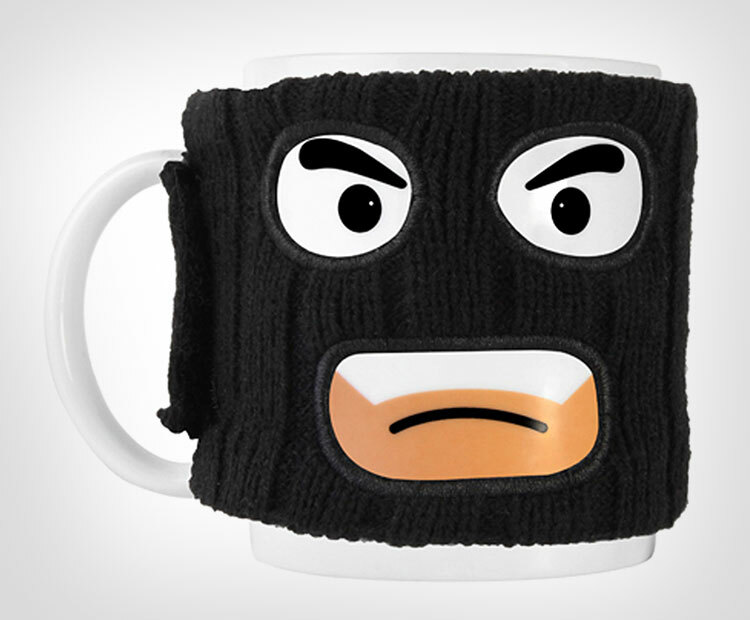 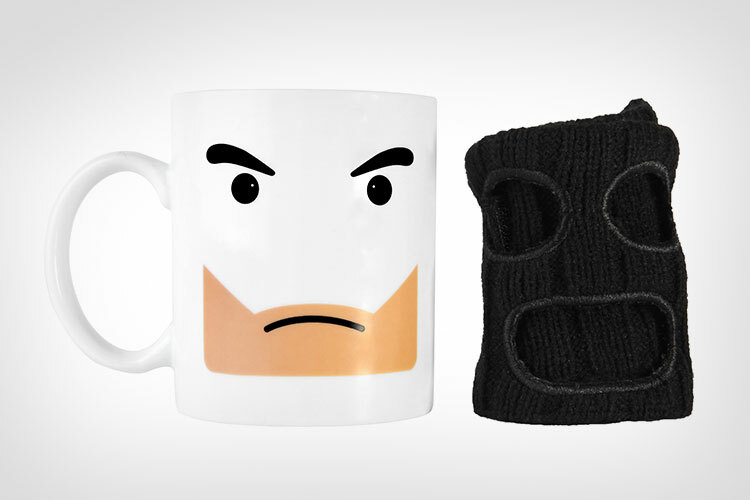 Fully intact with a removable ski mask, a stereotypical five o'clock shadow, and a frowny face, the mugger mug coffee mug is a perfect gift idea for a person that is just starting to learn the trade of thievery and armed robbery. 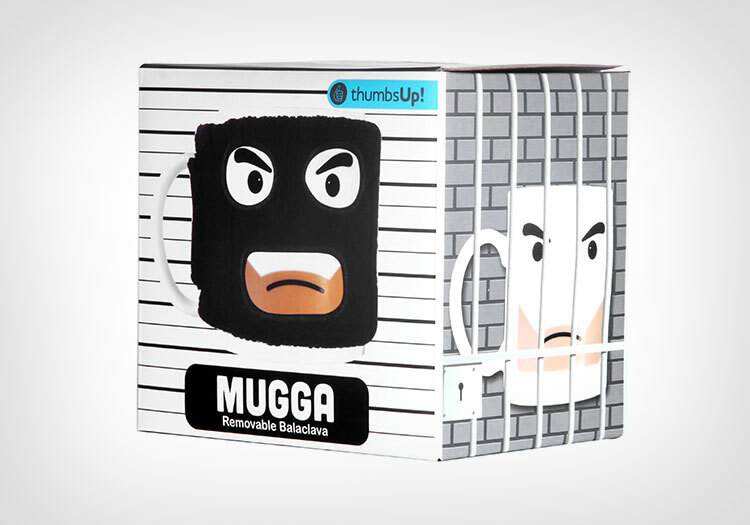 Designed and made by ThumbsUp, the Mugga Mug is made from ceramic, has a removable balaclava (ski mask) that keeps your coffee hot for longer, is dishwasher safe, measures 3.74 inches tall x 4.33 inches wide, and is a perfect addition to any quirky coffee mug collection.